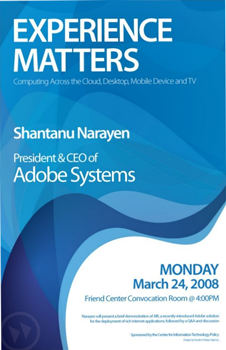 Shantanu Narayen is president and CEO of Adobe Systems, where he has held key positions in management, research, and development since 1998. Prior to joining Adobe he worked at Pictra (an early pioneer of digital photo sharing over the internet), Silicon Graphics, and Apple Computer. This event will consist of a presentation and brief demonstration of AIR, a recently-introduced Adobe solution for the deployment of rich internet applications, followed by a Q&A and discussion of the future implications of AIR and related technologies. 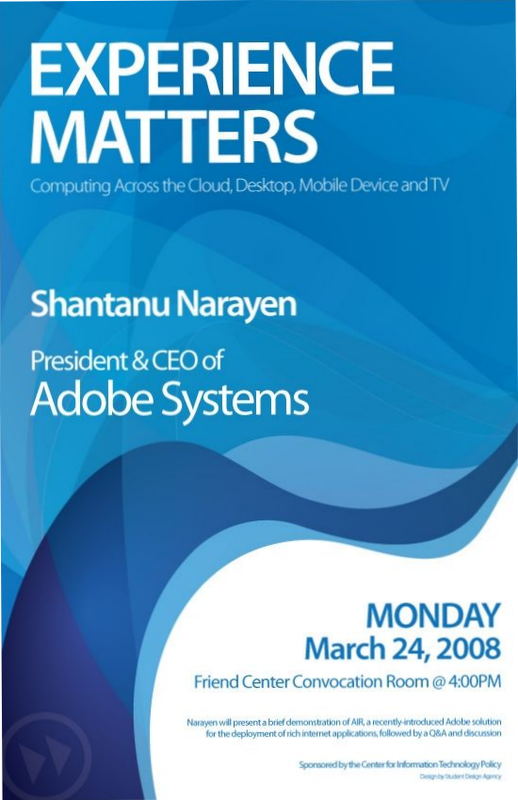 For more information about Shantanu, see: Shantanu Narayen.